Nike Golf's Tommy Fleetwood got his first European Tour victory Sunday at the Johnnie Walker Championship, with a bag full of Nike clubs. 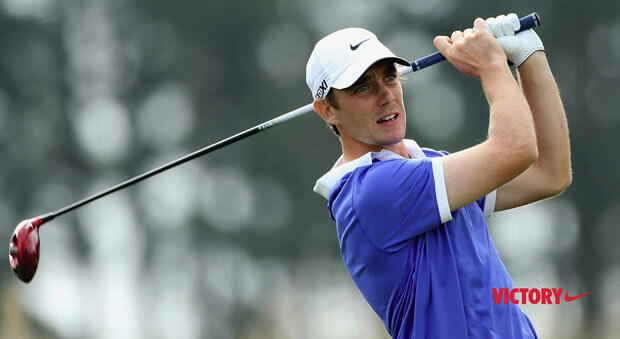 The 22-year old is only two years into his professional career and outlasted two European Tour veterans, in Stephen Gallagher and Ricardo Gonzalez, to win the three-way playoff. Using his Nike VR_S Covert driver, Fleetwood averaged over 311 yards off the tee, ranking fourth in the field in driving distance. A week after its launch, the new VRS Covert 2.0 Tour driver picked up two wins. Sergio's tools at the Deutsche Bank included a new TaylorMade putter and driver. A look at the 14 Titleist clubs Adam Scott used to win The Barclays playoff event.